Rostislav Krimer is remarkable pianist of international level. Rostislav Krimer is a true collaborator in music and is joint regularly by outstanding musicians either as chamber music partners or as his soloists when conducting the East- West Chamber Orchestra he founded in 2015. Gidon Kremer, Maxim Vengerov, Sergey Krylov, Viktor Tretyakov, Mario Brunello, Viviane Hagner as well as Julian Rachlin and Ksenija Sidorova are regular and long standing companions. Besides his concert activities, he was named a Friend of UNICEF, being an active supporter of charity projects for children for many years. The Annual UNICEF Gala Dinner with Rostislav Krimer & Friends was also a great success this year. Recently, in October 2018, Rostislav Krimer was also awarded a honorary title – Star Ambassador of the 2nd European Games 2019. An important colleague and long-term collaborator is Yuri Bashmet with whom he teamed up in numerous orchestral concerts and chamber music projects such as playing a World-Premiere of Concerto for viola, piano and orchestra dedicated to Yuri Bashmet and Rostislav Krimer by composer Valery Voronov, or performing the Mendelssohn Piano Sextet with his 'Moscow Soloists' playing Stradivarius, Guarneri and Amati instruments from the State Treasury of Russia. Rostislav Krimer is also the founder and Artistic Director of the annual Yuri Bashmet International Music Festival, which for 13 years regularly sees most notable artists and young talents from all over the world. 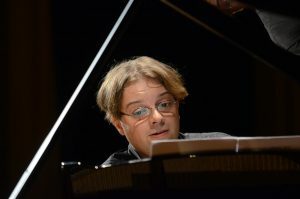 In 2012, Rostislav Krimer also started performing together with legendary pianist Paul Badura-Skoda both concertos and recitals. In July 2014, their live performance of the E-flat Major Mozart Concerto for two pianos and orchestra was released on CD by ERP-Records. In 2018, he was honored to play a premiere of new founded piece by Dmitry Shostakovich, which he performed together with Nils Mönkemeyer at the Shostakovich Festival and with presence of composer’s widow Irina Antonovna Shostakovich. Born in Belarus and based in the city of Beethoven Bonn, Rostislav Krimer studied in Helsinki, Cologne and London. 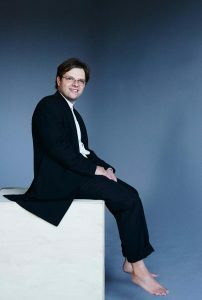 The recital which launched his international rise took place at Cadogan Hall in London in 2006 to highest critical acclaim. Since then he has been performing at prestigious festivals in Aix-en-Provence, Delft, Lockenhaus, Ljubljana, Varna, the Beethovenfest Bonn and the Villa Medici in Rome. Other invitations brought him to the major stages worldwide including the Berlin Philharmonie, Great Tchaikovsky Hall, Queen Elisabeth Hall and St Martin-in-the-Fields. Rostislav Krimer is Chief-Conductor and Artistic Director of the East-West Chamber Orchestra, which consists of the best artists from East and West - concertmasters and leaders of renowned orchestras, professors of music academies as well as winners of the most prestigious competitions worldwide, including the Tchaikovsky, ARD, Long-Thibaud and the Paganini. Rostislav Krimer's schedule for the recent seasons include recitals and chamber music together with Paul Badura- Skoda, concerto performances with Yuri Bashmet and the 'Moscow Soloists', with the Lithuanian Chamber Orchestra and Sergey Krylov, concerts with Krzysztof Penderecki and Julian Rachlin, Camerata RCO (Royal Concertgebow Orchestra), at the Emilia Romagna Festival as well as touring with his East-West Chamber Orchestra.